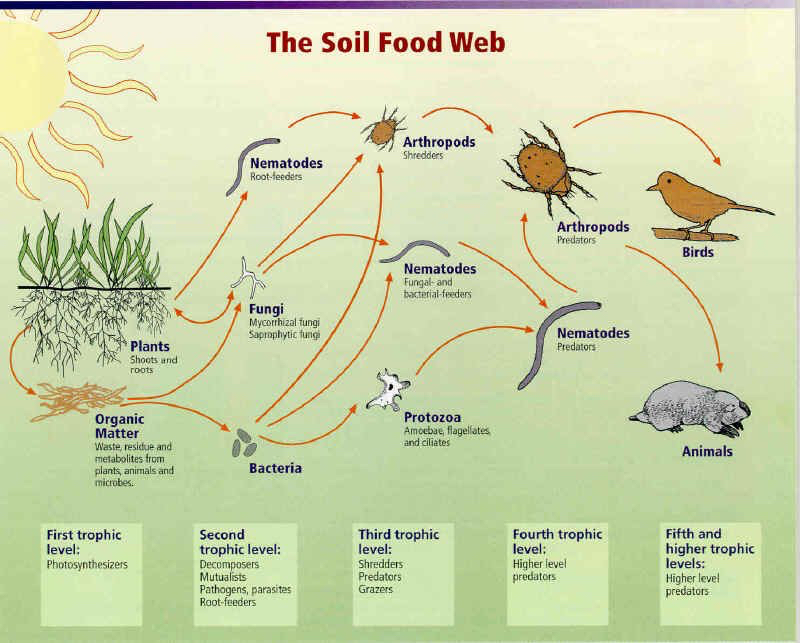 Our goal for your landscape is to create and sustain a healthy and functioning Soil Food Web, which will suppress disease and pest outbreaks. Nutrients will become available at rates plants require. 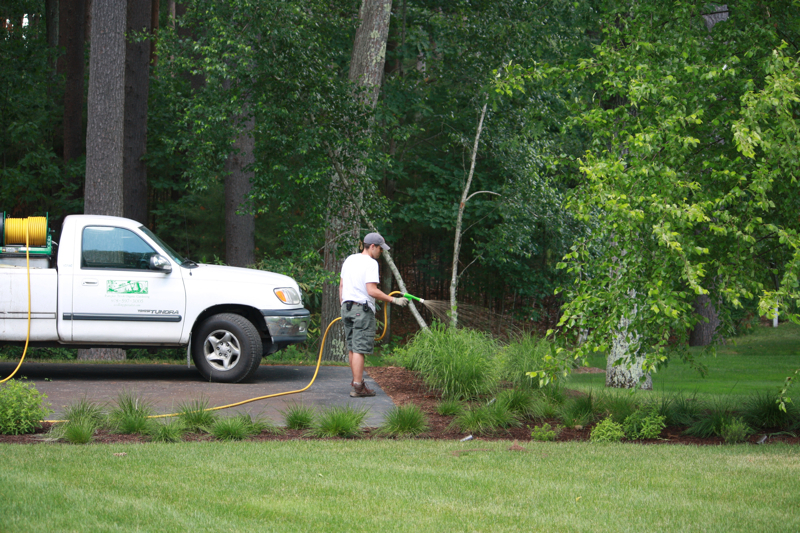 Soil will act as a sponge, retaining water and promoting deep root growth. Soil compaction will be reduced over time. We utilize foliar sprays and soil drenches during the growing season to enhance flowering and fruit production and build immunity to common pests and diseases. Our goal is to change the profile of the plant to produce complex carbohydrates and complete proteins that are indigestible to most insects. Healthy plants create healthy soils. 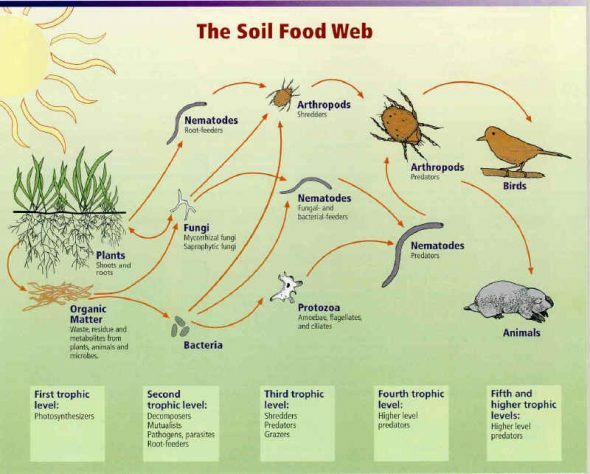 Over time, plants decay and build organic matter in the soil. Our job is to ferret out the deficiencies in both the plants and the soil, then to prescribe an amendment program that will bring both plant and soil to full potential. 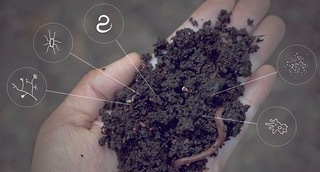 We will put three factors together to remediate your garden’s soil: nutrient density soil test results, granular amendments, and foliar feeding. A customized program follows the Northeast Organic Farming Association (NOFA)’s Organic Land Care Standards to modify contaminated or compromised soils in order to restore them back to a balanced and healthy growing medium.